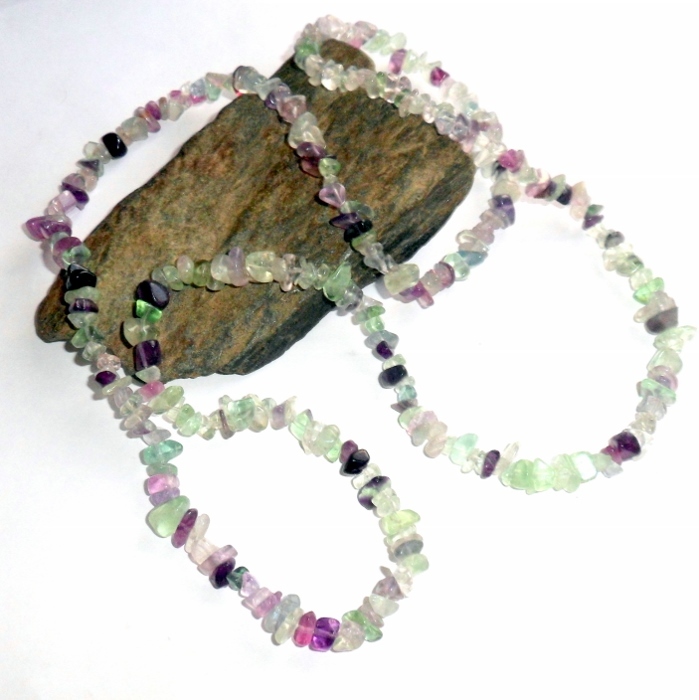 Natural fluorite chip gemstones set on a long necklace. 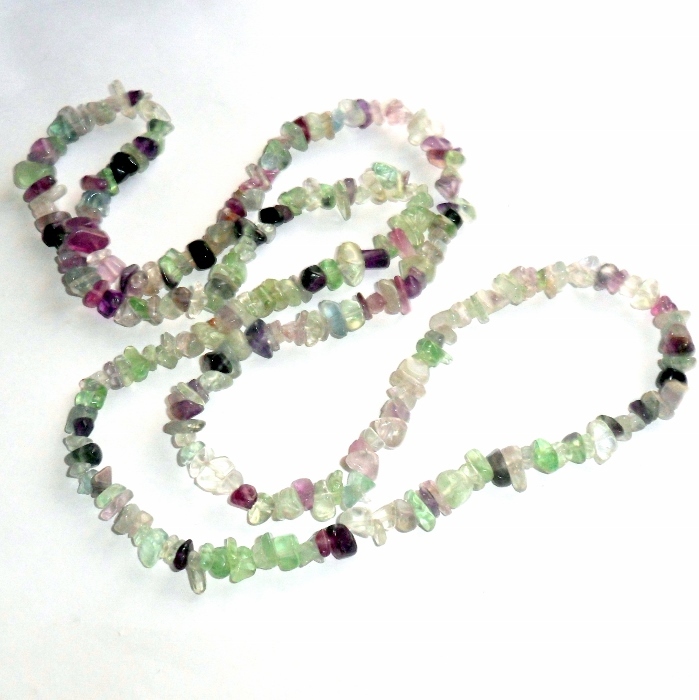 Fluorite is the organization stone. It blocks negative energy and stress and reorganizes anything out of order, whether spiritual or physical. Fluorite is an excellent stone for combating computer and electromagnetic stress and is a superb healer for colds and viruses. 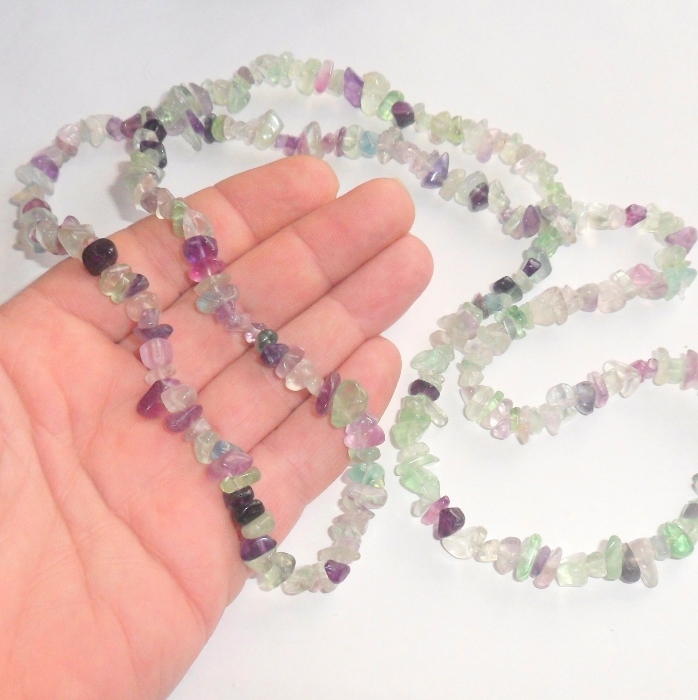 Necklace is approximately 36 inches. There is no clasp, just toss it over your head.